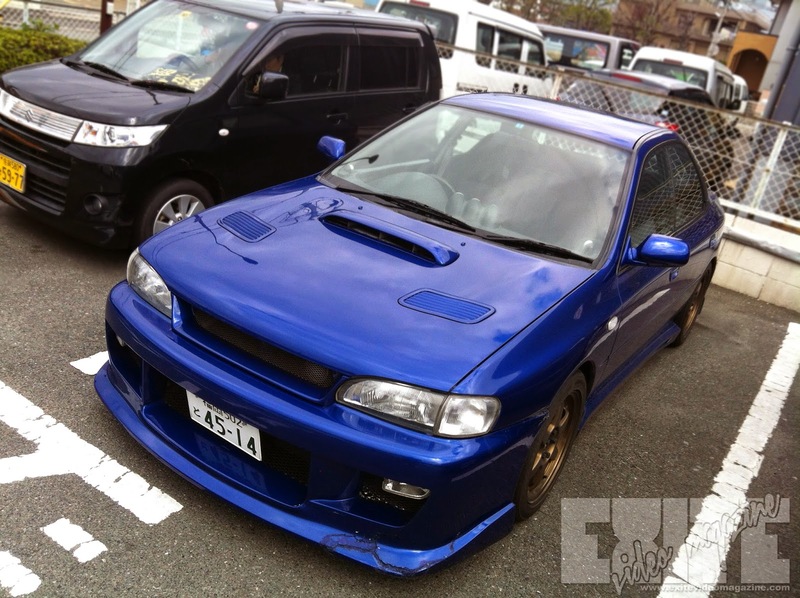 I found this nice Subaru GC8 in Minami-ku Fukuoka while roaming the streets looking for Uras a while back. It is fairly clean, but it's sporting a little battle damage up front. We like to see that these cars are being used, that's for sure! Sporting a mild drop on some TE37s. Its one of those wheels that just never gets old. And honest-to-God, it goes on everything. There is no car that cannot wear these wheels. 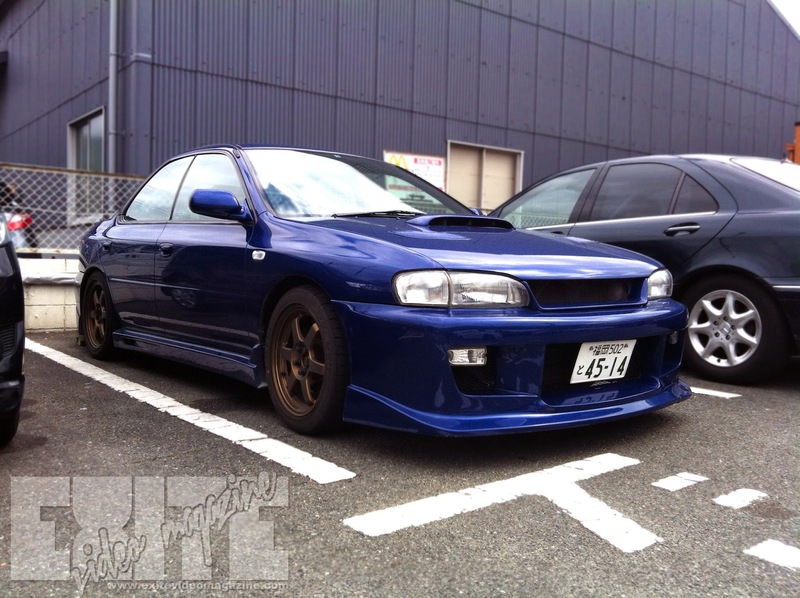 They even make a version for K-Cars... Did I mention that I think the blue on this car is simply stunning? And as you can tell from the pic below, I found this in a McDonald's parking lot. Well, I certainly am Lovin' It. The exterior may look pretty tame, but I do believe there is some work done under the hood. Maybe not a lot, but he does have some gauges inside, which is generally a sign that they are at least enjoying some spirited driving. 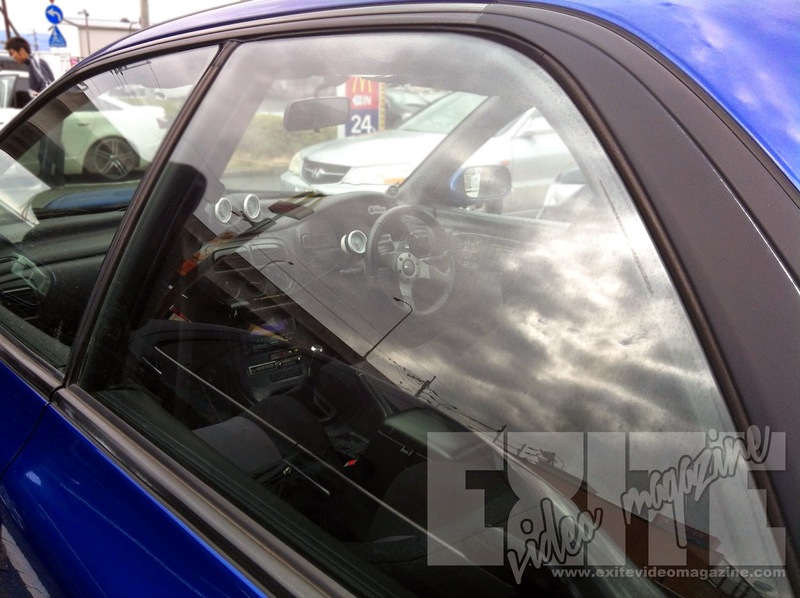 From here I can also see a Momo Steering wheel, possibly a Tuner model or a Race model. It's been a while, so it's hard to tell! Sorry I've been gone.... the project car is taking a lot out of me mentally and physically. It's hard being a one man show... I'd really like some contributors!